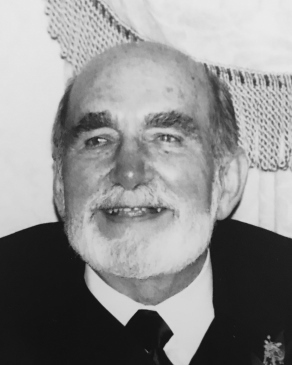 Gary R. Homer, 84, of Sea Girt, passed away peacefully at home on March 18, 2019. Gary was born in Toms River to James and Helen (Millithaler) Homer. He was a graduate of Manasquan High School. Gary then earned BS degree in Engineering from Monmouth College. Gary spent many years as a program manager at EAI in West Long Branch. Later, he was employed by Tamsco, retiring in 2013. He enjoyed exciting times in Atlantic City. In addition, he loved to golf, fish, camp, bowl and relax by his pool. He was predeceased by his loving wife, Rita (Tricarico) Homer in April 1998. Gary is survived by his sons; Gary J. (Patty) of Neptune and his twins, Kevin (Liz) of Sea Bright and Brian (Tiffany) of Brick, grandchildren; Brittany, Allysa, Megan, Kyle, Elizabeth, Maddy and Jack and his sister, Patricia Boud of Manchester. Family and friends may visit on Fri., March 22nd from 4-7pm at the Braun Funeral Home, 106 Broad Street, Eatontown. A Mass of Christian Burial will be celebrated on Sat., March 23rd, 9am, at St. Catharine’s RC Church, Spring Lake. Entombment will follow at St. Catharine’s Cemetery, Sea Girt.